“Dig, boy, dig!” urged 19th century prospectors, it is said, on getting whiff of what lay beneath. Whether Digboi came by its moniker as a result of wordplay, as is popularly believed, has passed into the realm of amused conjecture. Historians will have you know that Di is a prefix meaning stream in Singpho, and the prevailing reference–Diboi Nallah, minus the ’g’–may have somewhat encouraged it. What wasn’t mere inference though were the tell-tale signs of crude oil reported from the rainforest of Upper Assam as early as 1825. A Lt R Wilcox of the 46th Regiment Native Infantry, while on a survey of the Namchik River (roughly 40kms east of Digboi) had observed ‘great bubbles of gas and green petroleum’ rising to the surface at Supkhong. And that ‘the jungles are full of an odour of petroleum’. Tea-explorer Charles Alexander Bruce also spotted ‘many oil seepages upstream of Makum’ in 1828. Experimental drilling however would commence only in 1866 nearly a quarter of a century of similar sightings later, and on the recommendations of the Geological Survey of India. After procuring permission, Calcutta-based McKillop, Stewart and Company entrusted a Mr Goodenough with planned manual boring at Nahorpung near Jeypore. At a depth of a little over 100 feet however he ascertained it to be dry and abandoned the well. Other attempts amounted to some gas and little oil. Mechanised efforts undertaken simultaneously at Margherita, south of the Dehing River, met with more success when excited prospectors were rewarded with nearly 300 gallons of crude on the second attempt itself. In the end, it fell to engineers of the Assam Railways & Trading Company (AR&T) to finally hit jumbo jackpot, literally. In 1881 while laying down rail tracks between Dibrugarh and Ledo, they spotted elephants clearing forests for the purpose returning with their feet smudged in oil. Within a decade of this discovery extraction for petroleum had begun in right earnest. Initial traces in 1890 soon metamorphosed into a full-fledged presence of oil in this inaccessible yet resource-rich outpost lost amidst Assam’s primordial jungles. Within another decade, the encompassing muggy woodlands were painstakingly emptied to set up India’s (now) smallest and still extant refinery in Digboi, commissioned in 1901. A hundred and some years later, after touching down at Dibrugarh airport, it was to make the acquaintance of this remote corner of prospecting history I hurtled as swiftly as potholes and chauffeuring abilities permitted. Looking back, all I recollect of the two hour journey is slicing through emerald luxuriance viewed via incessant rain-induced opaqueness. 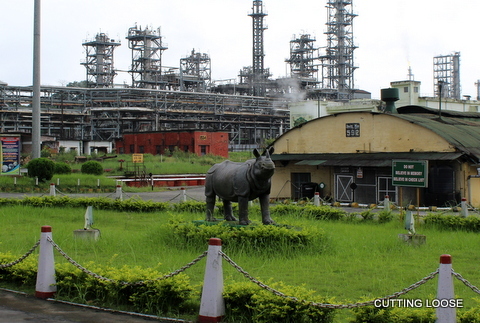 That the township of Digboi as we know it today, sitting pretty in the verdurous foothills of the Patkai Range in Tinsukia, eastern-most district of Assam, owes its very existence to the refinery is an obvious and undeniable reality. That it wasn’t the easiest of achievements is another. Trying to build a refinery in the midst of impenetrable forestland was an unenviable task. It required oodles of courage, mental resilience and physical strength. For most it was an unimaginable landscape coupled with an overwhelming and unfriendly clime. Regardless of how romantic prospecting may sound now, an official supervising the exercise at the turn of the 20th century noted, “The peculiarly isolated nature of the work; the entire absence of all local labour and assistance; the lack of a manufacturing centre and workshops and all needful mechanical appliances; the lack of skilled labour; the need for importing absolutely everything except timber: these and other obstacles which it would be tedious to detail, might well daunt the boldest”. Many came, saw, and never returned. For these reasons alone, the refinery is a landmark worthy of attention particularly for enthusiasts of history, mechanics, and technology. A tour takes over an hour (prior permission necessary) and is time well spent. Visitors are greeted by an ancient ‘still’, an early crude-oil refining vessel, reminiscent of the refinery’s primitive origins. 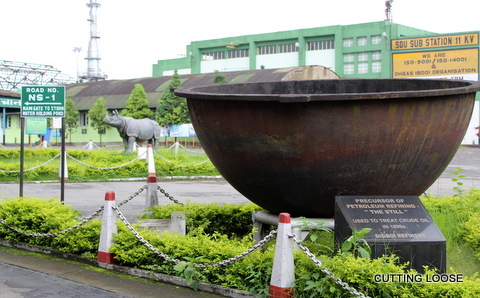 Beyond it stands a life-size likeness of Assam’s most enduring icon, the one-horned rhinoceros; a stylised version of which long embellished the Assam Oil Company logo, floated in 1899 for the purpose of furthering AR&T’s interests. 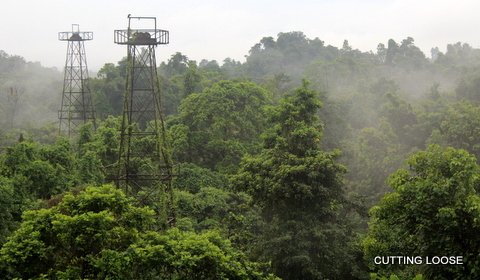 A short drive from the refinery is the verdant and wildlife-replete sprawl of the Digboi Oilfield where creeper-engulfed derricks–now-defunct– punctuate skywards a dense canopy to make their towering presence known. To commemorate a century of the refinery’s existence, the Centenary Museum took shape. Located in close proximity to the ‘Discovery Well’–first commercially viable oil well in the country–the museum traces Digboi’s incredible history through an array of multi-media exhibits. Vintage machines, dioramas, tableaux, photographs, documents, office paraphernalia sit cheek-by-jowl with musical instruments, public address systems, patented light fixtures, uniforms, medical instruments and sundry memorabilia in well-lit, air-conditioned surroundings. The grounds immediately outside are dotted with pagoda-like shelters that house more vintage machinery. 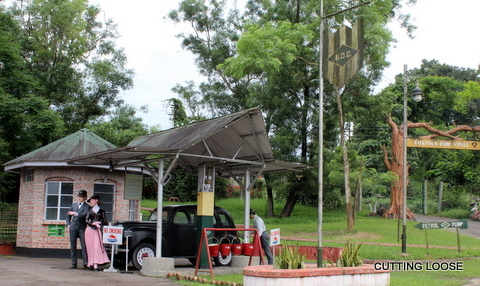 The cynosure of all visitors is a replica of a Burmah Oil Company (BOC) gas station where an attendant tanks up a 1941 Ford Prefect while a dapper European couple looks on. 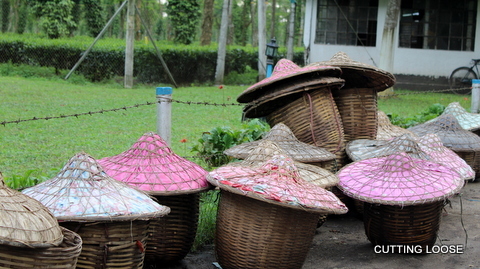 Digboi is encircled by iconic tea gardens. 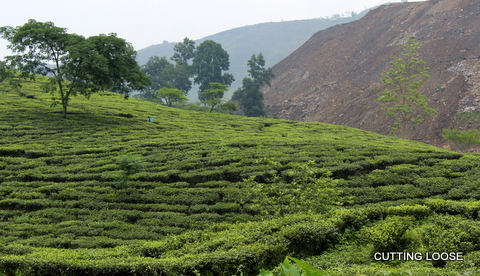 To the north is the Chubwa Tea Estate, India’s first commercially planted estate. Established in 1836 by the British, much of the sizeable plantation exudes its colonial past. Spacious old bungalows fronted by landscaped lawns and circular driveways dot the estate. Lord Curzon is reputed to have stayed over in one of these while on his way to Kaziranga this one time. A section of the garden was christened after him and is still referred to as Curzonbari. 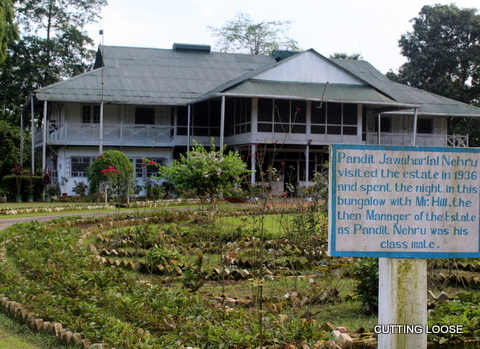 The Senior Manager’s bungalow greets visitors with a legend marking the stay of Jawahar Lal Nehru in 1936 when his fellow-mate at Harrow, a Mr Hill, was the incumbent. The Powai Tea Estate, home to India’s largest tea factory far as volumes go–it churns out a whopping 60 lakh tonnes a year–sprawls on Digboi’s south-eastern outskirts. Its management is more then glad to show visitors around long as it has prior intimation. A road-side outlet attached to the factory stocks retail-size tea packets and related products from sister concerns. 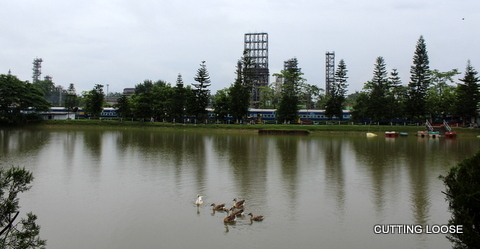 A large stretch of the road to Powai runs parallel to one of the earliest rail tracks in these parts, connecting Dibrugarh with Margharita, where India’s oldest collieries lie. The tracks once extended to Lekhapani, a major coal loading terminal, and India’s eastern-most railway station on the meter gauge network; closed to commercial traffic since 1993. 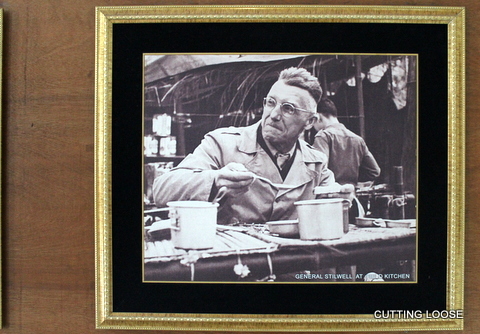 The station played a noteworthy role in movement of forces during World War II when the Japanese blockaded Burma. Lekhapani also marks the beginning of the historic Stilwell Road constructed by Allied Forces between 1942 and 1945. Earlier known as Ledo Road, it was renamed to honour American General Joseph ‘Vinegar’ Stilwell who conceived and helmed the monumental task of forging this life-line through an inhospitable terrain. The 1726 km-long road connects Ledo in Assam to Kunming in China via Myanmar. Of this, a little more than 61 kilometres lie in India, 1033 in Myanmar, and the remaining 632 in China. 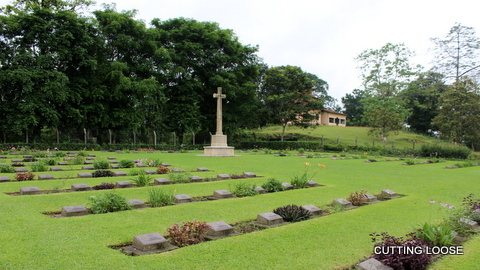 Closer home, a well-tended cemetery under the aegis of the Commonwealth War Graves Commission, is another reminder of the Burma Campaign that Assam witnessed and experienced from close quarter. The Army Graves Commission later relocated graves from burial grounds in Myanmar, Panitola, Jorhat, Margherita, Tinsukia and Ledo, where constant upkeep became unviable. Presently, 200 braves rest in quietude in the sylvan surrounds of dignified and efflorescent premises hemmed-in by a thicket of trees. A Cross of Sacrifice stands tall in the midst of the neat rows, a mute but poignant testimonial of the valour of those interred. Come November, on Remembrance Sunday, a service is held jointly by the Indian Army and IndianOil in memory of the occupants. The refinery and its aging fields can no longer sustain the prolificacy of youth. Were it not for its remarkable life, its historicity, and the eco-system it supports, it would perhaps have been just another footnote in dusty annals. Nonetheless, there’s no denying the undiminished significance of Digboi as protagonist in prospecting storytelling. It is, after all, where it oil began. How a forgettable little township permanently the colour of soot came by a European name is ascribed to an Italian engineer named Chevalier Roberto Paganini. He is credited with building the first wooden railway bridge over the Dehing River. He also established a settlement here. So when, in 1884, the first train hissed its way into the coalfields, Pagnini honoured the monarch he owed allegiance to–Margherita Maria Teresa Giovani, Queen Consort of Italy–by naming the place after her. The town is home to a repository called the Coal Heritage Park and Museum. 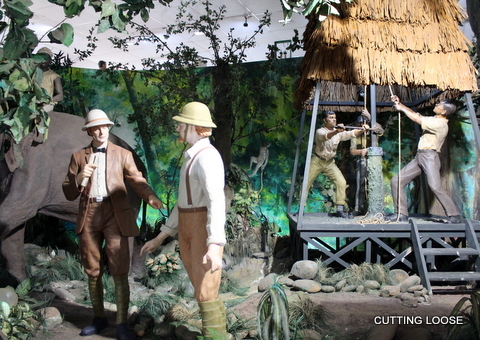 Its outdoor display includes multi-coloured life-size vintage machinery once used in coal-mining and related activities. An underground mine has also been simulated for visitors to walk through for a feel of the real thing while historical documents, photographs, currency in use, official paraphernalia of the AR&T, and much else is housed inside the main building.